Entertainment Weekly follows up their first look image from the DC Comics + WB Pictures’ Shazam! movie with a cover image of the Big Red Cheese. 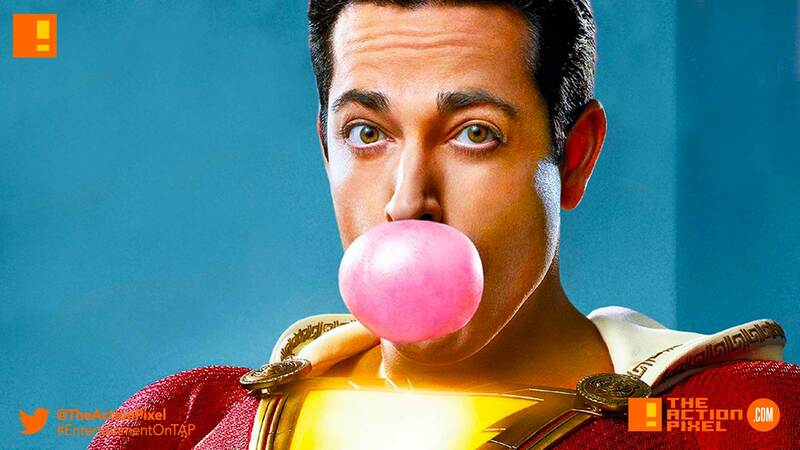 And Zachari Levi’s Shazam seems to be a real kid at heart. But pink bubblegum though? And who gave him mobile privileges?! The trailer for the movie is set to hit the SDCC this year, so we will be looking forward to that.